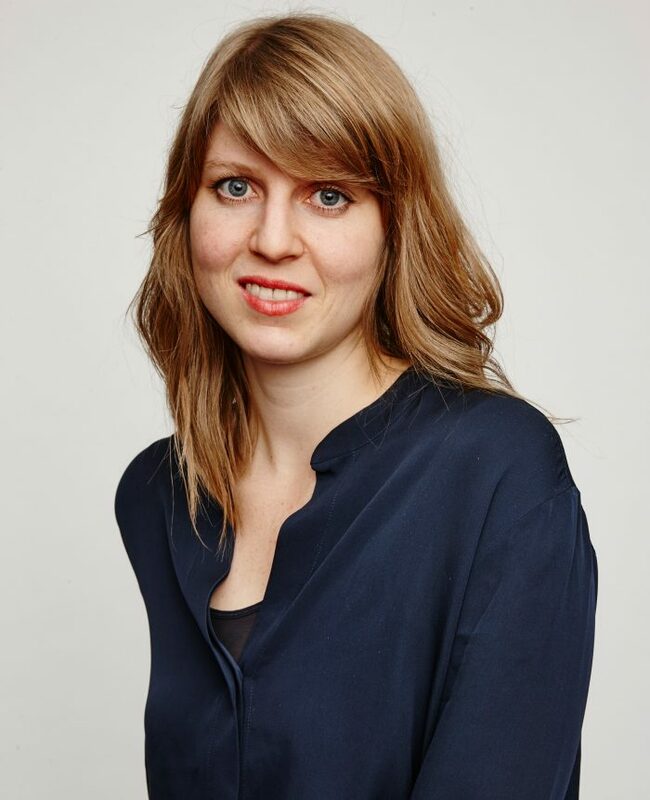 Our alumna Barbara Franz came to Aalto University through MEDes and left as a degree student. How her studies have helped her on her journey and what life looks like at IDEO Munich was something we were very curious about. Barbara, when and what did you study at Aalto? I started studying at Aalto in the summer of 2008 (at the time it was actually still called TAIK). I originally joined the Industrial and Strategic Design program as exchange student and had planned to stay for two semesters. Halfway through my exchange term I had made up my mind that I wanted to stay and complete my Master studies in Helsinki. Finally I did exactly that, I applied to become a full-time student at Aalto and was lucky to be accepted. What did you do before you came to Aalto (TAIK) and why this school? My path to Aalto began when I joined a program called MEDes (Master of European Design)—a collective of several European Design schools that have designed a rotation system for its students. Over the course of the 5-year combined Bachelor and Master program the participants study at three of the collaborating schools. I was a Product Design student at the Academy of Applied Arts in Stuttgart and was selected to spend my first exchange year at ENSCI Les Ateliers in Paris. For my second exchange I knew I wanted to go to the Nordic countries as I had always been attracted by the product design from Sweden, Denmark and Finland. Both Konstfack and Aalto were participating in the program and after listening to the experiences of many former exchange students at Aalto I knew this was the school and city I would prefer. I was especially intrigued by the human-centered approach to design which suggested reframing my previous understanding of Product/Industrial Design. Where do you currently work and what does the company do? Since 2010 I have been working at IDEO’s Munich studio. IDEO is a global innovation and design consultancy, which was founded in Palo Alto, California almost 30 years ago. We take a human-centered and design-based approach to help private and public organizations innovate and grow. I joined as Product Design intern and have since taken on a role as Design Researcher. When did you hear about IDEO for the first time and what did you find appealing about them? The first time I heard about IDEO was during my studies in Paris. A group of us traveled to San Francisco for the ISDA World Congress/Connecting ‘07 where we saw a presentation by Tim Brown, CEO of IDEO. I remember being very impressed by IDEO’s values and design approach. Later, during my studies at Aalto I was further introduced to human-centered design through modules like Tuuli Mattelmäki’s course User Inspired Design, which is built on some of the practices and methodologies IDEO applied. Did you always know that IDEO would be the place you’d want to work at? When I applied to IDEO for a Product Design intern position it felt like a natural continuation of my studies. The Academy in Stuttgart and ENSCI in Paris had given me a solid foundation in Product Design with a strong focus on form, material, and ergonomics. Aalto had expanded my understanding of design and added a strong research focus and strategic lense to my work. Additionally the studies at Aalto focused on interdisciplinary group work which is similar to the way projects are set up at IDEO. Aside from IDEO’s values, methodology and breadth of work I was excited to join a company which has such a strong creative culture that brings together a wild mix of backgrounds, nationalities and disciplines. Can you tell us a bit about your journey at IDEO – from starting out as a Product Design intern to now being a Senior Design & Research Lead? My transition into Design Research was actually very fluid. Already during my very first projects at IDEO I had the opportunity to participate in all phases of the project, from planning, research, concepting, to prototyping and visualizing. The work as a researcher came natural to me—it fueled my natural curiosity and requires a very strategic eye. Every project allowed me to dive deep into a new topic and meet with people who share their life stories with us. For me that is still a very rewarding experience. Of course the responsibilities of a Design Researcher are not just to plan and conduct research, but to make sense of the data, interpret it and turn it into actionable insights that can drive the design. This process of synthesis takes time and to do it well it takes experience. That’s certainly something that I am still working on, even after 8 years. A big change in your career as a designer happens when you move from being responsible for a single project and within that for a specific work stream to leading teams and guiding content. Developing client empathy, an understanding of organizational structures and challenges, as well as skills in presenting and strategic storytelling are very important for this more senior role. How does a typical work week at IDEO look like for you and what are your responsibilities? There really is no typical week! You probably expected that answer, and it’s true. My work requires me to travel a lot, both for research as well as for working and meeting with our clients who come from different geographies and industries. That means a lot of my work doesn’t actually happen at a desk or in a project space. I’ve just come back from an intense week of prototyping a physical retail experience in Paris, which was a very generative and hands-on process. This week on the other hand is very strategic, focused on bringing the service experience together and communicating the vision. Aside from leading projects, my responsibilities also include business development, hiring new talent and taking care of client relationships. Which projects at IDEO have been your favorite so far? It’s hard to choose one as each project is rewarding in a different way. 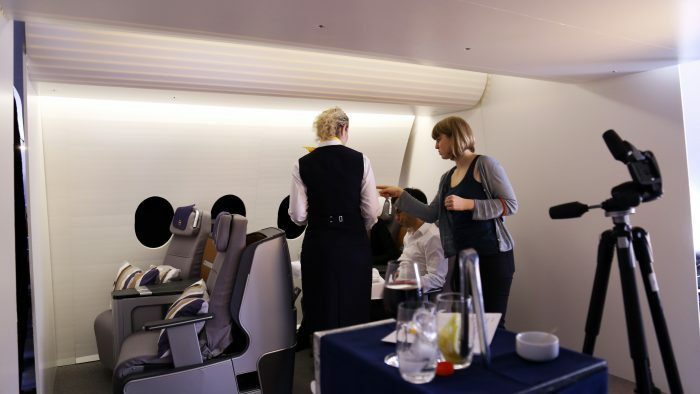 One that certainly stands out is the redesign of Lufthansa’s Business Class experience. I was part of the core team who worked on this challenge in 2014. Next to qualitative research with passengers and crew, we did a lot of service benchmarking to inspire the design and prototyped the experience in small and big scale. The service has since been rolled out across their fleet and helped Lufthansa improve their performance as a hospitality provider. 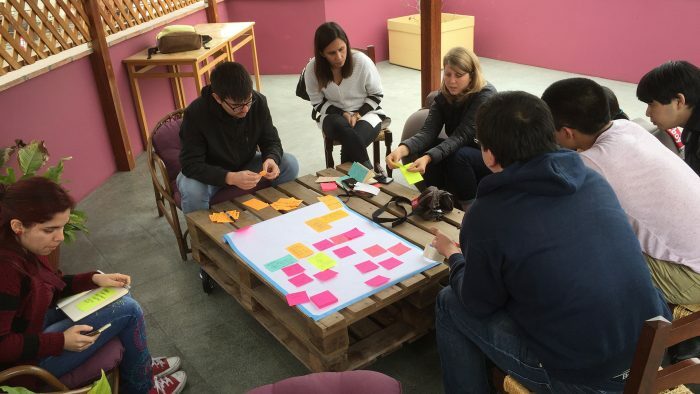 For my last project I moved to Lima, Peru for 7 months to help one of our long-term clients develop a big change program for its portfolio of companies. This work, which was much more digital in nature, was extremely interesting and valuable for developing new skills and working in a very different cultural context. This adventure is definitely one I will draw from for a long time. Back to your studies, do you have a favorite memory from your Industrial & Strategic Design time? One of my favorite memories is a short project we did which brought together different students with very different skills: Design, Technology and Business. Working with non-designers was initially difficult as we all spoke different languages. In the end it was very rewarding and probably helped me prepare for my work reality today. To successfully help companies innovate it is crucial to not just design for the user’s desirability, but also the feasibility and viability of a concept. I thought it was great that Aalto had such an interdisciplinary and holistic approach to design. Of course, I also have great memories of the community at Aalto, many long meals at Kipsari and rich workshops in Fiskars. The freedom to play that one has when studying is very precious; and given the diversity that Aalto offers I can only encourage student to go and experiment much as possible. It’s probably what you will miss most when leaving. If you could name only three things, what do you believe brought you to where you are today? My curiosity for new places, cultures and topics, a strong support network, generous colleagues who I can learn from. The first is important as it constantly drives me to look beyond what I know already, pushing me to seek out new experiences and build new knowledge. The second is of course important for any development journey that is challenging at times. Thirdly, my colleagues at IDEO and beyond are indispensable in bringing me to where I am today. Thanks to the smart and diverse people I get to work with I have added a range of skills to my portfolio and improved on others that empower me to fill out my role with confidence and joy. What can you recommend to students who are looking to get employed by a company like IDEO? Any tips? Share your process. Beyond the final results I am always interested in understanding how people think, what their tools and methods are, how they draw conclusions etc.